How to make a website is probably the first question that pops up to every new webmaster. After all, the foundation used to create your site will dictate the flow and growth of your online project. Hence, it’s important to make a solid plan and study every available option. Each path is unique and carries a set of pros and cons. Which is why we’ll try to highlight the most important website building aspects to ease the decision-making process. First things first, you’ve got to decide what your website will be about. There are lots of website ideas out there ripe for the taking. And with the right execution, they have the potential to make solid money online. E-commerce websites. Online shops are some of the most visited types of sites nowadays. With the popularity of drop shipping increasing rapidly, everyone has the opportunity to start an online side business. You can sell both digital and physical goods to huge audiences from all over the globe (which wouldn’t be as simple with a real-life store). Blogs. Many successful webmasters started their journey with a simple search query: how to start a blog. Covering a wide variety of topics, blogging can be both a business (for example affiliate, review, niche blogs) or a leisure-oriented activity (travel, food, music, books). Educational websites. Well seasoned in a particular skill? Why not create your own digital courses or a membership type website. If you’re a huge fan of a particular hobby or skill, creating an educational site can help you establish yourself as an expert in the niche. News websites. In this era of online chaos, starting a news site is easier than ever before. People seek out information every day throughout various sources. If delivering groundbreaking stories is something that you fancy, making a website will make it much easier to get your message across. Online communities. The sheer amount of thriving online communities is a clear message that the most important thing is the start. Since building large audiences takes a lot of time, the sooner you begin – the better. Portfolios. Displaying your skills and strengths can greatly improve your online presence and visibility. Furthermore, online portfolios can give you the advantage in job interviews, competitions, and business deals. Once you have a clear goal in mind, picking the right hosting and website building platform will be much easier. Before you make a website, you’ll need to come up with a catchy name. Brainstorm potential website name ideas. Run a domain name search. Finalize your order and complete the domain registration. Go for .com. 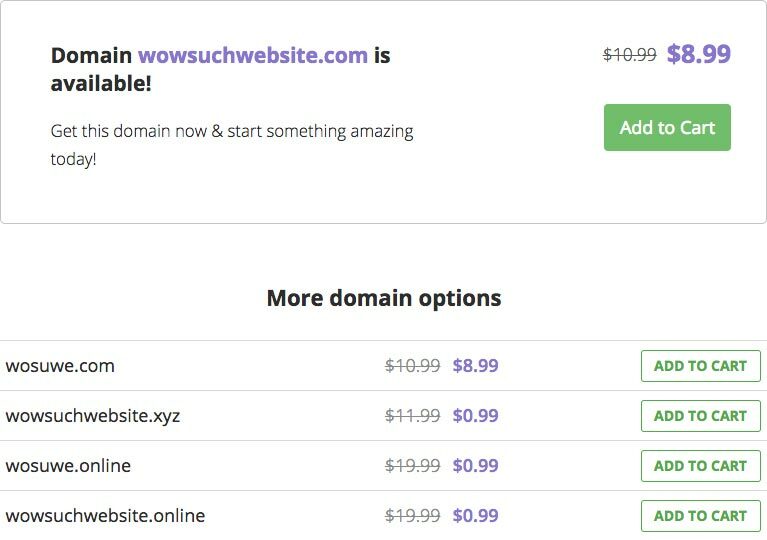 Being the most popular TLD, a .com domain will be easier to remember for your visitors. Check for close alternatives. Registering mistyped and similar versions of your domain name will ensure that all traffic reaches your website. Try to keep it short. The easier and catchier your site name – the better. Overly long domain names can be difficult to memorize. Avoid hyphens and numbers. Only do it if you really have to, as they may increase the chance of your address being mistyped. For more in-depth coverage, check out our complete guide on how to buy a domain name. The next step in your website creation journey is picking a proper host. While there are various types of web hosting out there, the one that you need depends on the size of your online project. 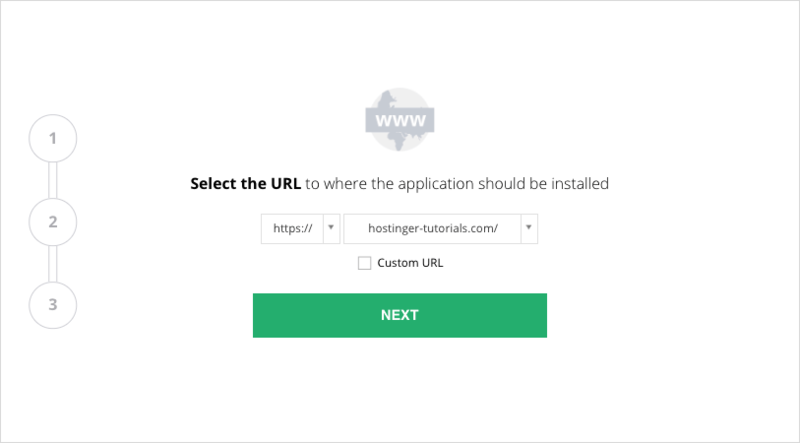 Here on Hostinger, we offer 3 unique alternatives that cater to websites of all shapes and sizes. Let’s take a quick rundown to see which one is the right for you. The basic idea of shared hosting is storing multiple users on a single physical server. Best suited for small and medium-sized websites, shared hosting is a type of server that houses multiple users. Think of it as public transport, such as a bus or a train. All websites use the same pool of resources from one physical server. This unique setup allows having affordable pricing but also comes with stricter limitations. Mainly to provide a smooth ride to every passenger and ensure that a single user does not use up too much power. 1-click installer. Easily set up the most popular tools, such as e-commerce scripts, content management systems, blogging platforms, forum software and more! Access manager. When working on a project with multiple people, sharing personal account details may be a delicate matter. Skip the troublesome part and grant access to services of your choosing without sharing any personal information! FTP/File managers. Conveniently edit your files, directories, code using web-based file managers. Or use your favorite FTP clients such as FileZilla. Weekly backups. Get automatically backed up files and databases within the control panel. Store up to 3 unique copies! Cache manager. Caching enables your website to bypass many PHP requests by generating static pages. Faster websites, happier visitors, better results! Free domain registration. If you go for an annual Premium or Business plan, we’ll bundle a free domain for the first year. Powerful control panel. We even made a custom panel that will help you manage everything with utmost efficiency. Check out this demo. What type of websites need shared hosting? Generally speaking, shared hosting is a great start for any website or online project. If you don’t expect a lot of traffic at first, this solution is the perfect place to begin. One of our newest additions, cloud hosting aims for the simplicity of shared hosting while delivering the power of a virtual server. Cloud hosting is like a hybrid car: you get both power and comfort. With the help of cloud computing technology, this solution provides the highest available uptime by keeping a copy of your website on several physical servers that work together in harmony. In case one of the servers goes down, the remaining ones in the cluster ensure that everything is up and running. A dedicated IP address. The IP assigned to your server will be unique and solely given to you. Isolated resources. If compared to shared hosting, the resources you get with the cloud will be fully dedicated to you an no one else. A free lifetime SSL certificate. Keep your visitor data safe! As HTTPS is becoming the new standard of the web, it’s important to keep up with the latest practices. CloudFlare integration. Add an additional layer of DDoS protection, WAF, monitoring tools, and much more advanced features. What type of websites need cloud hosting? Businesses that mostly rely on their website uptime reap the highest benefits. If you expect large traffic spikes right off the bat, cloud hosting is also the way to go. Aside from that, e-commerce stores, large-scale projects, news websites with lots of new and recurring visitors will find cloud hosting most suitable. If you’re looking for power without the technical struggle, cloud hosting is surely the right pick. Short for a virtual private server, VPS is a unique web hosting alternative that brings more control and freedom to the table. Though it does require server management skills and knowing your way around the terminal. Virtual servers are highly flexible and customizable if you have the knowledge. Overall, VPS hosting provides the highest customizability out of all solutions. Everything from the operating system to the software stack will be within your control thanks to root access. A dedicated IP. Each VPS receives a unique IP address which you will share with no one else. 1-click OS install. Use the right operating system from a wide choice of the best Linux distributions. Server snapshots. Keep your files and server settings secure with automatic backup/restore feature. Isolated resources. Every drop of power in your hands. No other user on the machine will be able to tap into your resources. The freedom to build your own environment. Root access will let you set up custom software solutions and control various server-side settings. What type of websites need VPS hosting? With shared/cloud hosting, the servers are preconfigured and changing certain things (such as the software stack) will not be possible. However, VPS grants root access and the complete freedom to build your own foundation. If you need a custom solution, then virtual servers are something that you should consider. Now the real work begins. The process of how you create your website will greatly depend on the foundation that you choose. The idea that you wish to execute will also play a role in the final decision. Content Management Systems. Best suited for blogs and websites that publish a lot of articles/content. Some notable examples include WordPress, Joomla, Drupal. E-commerce Scripts. As the name suggests, if you want an online store, this is the software that will get the job done. A few of them include PrestaShop, Magento, WooCommerce. Website Builders. A simple way to make a site without coding knowledge. Drag and drop interface with lots of customization features included! Self-Coded Websites. If web development is your friend, then making a self-coded site is also a great idea. While it does take more time and effort, you can implement any feature that is crucial to your project. Holding the title as the most popular content management system in the world, WordPress empowers its users to create any type of website. While a lot of people use it for blogging, you can make anything from an e-commerce store to a review website using a wide range of customization features and plugins. It requires little to none coding knowledge. But if you’re able to get your hands dirty with a little code, it will definitely come in handy! One of the most affordable options. WordPress features one of the largest free plugin and theme libraries at no extra cost. Beautiful designs and complex features just a few clicks away. In-depth documentation and a huge community. With a massive community of developers and passionate bloggers behind WordPress, you can find solutions and answers much quicker. 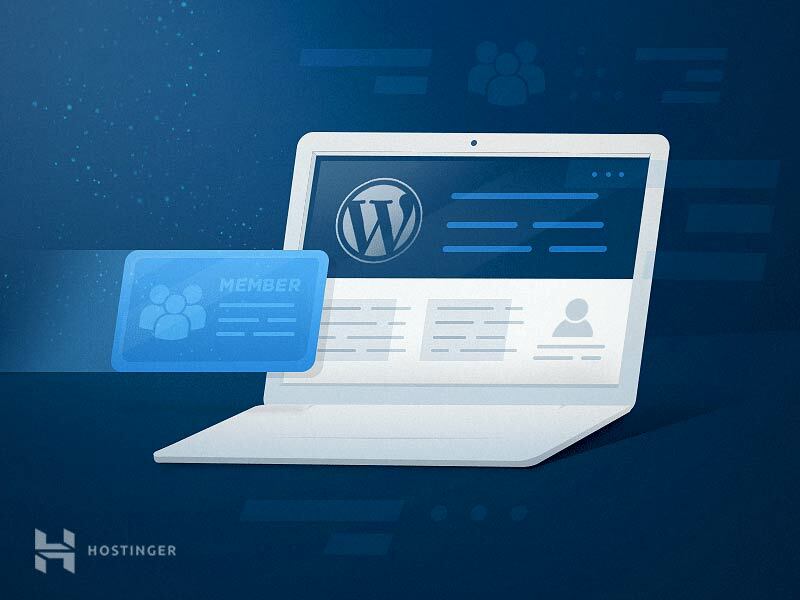 With Hostinger, installing WordPress is as easy as it can get. The latest version of the script is available within our Auto Installer tool. Follow our three-step wizard and the CMS will be ready to use within minutes! Be mindful during this process, as you’ll have to create your administrative user and enter a few other basic settings. Once the setup is done, navigate to yourdomain.com/wp-admin to find the WordPress dashboard. To access it, fill in the credentials that you specified during the installation process. Within this back-end panel, you can control everything related to your WordPress website, content, and users. 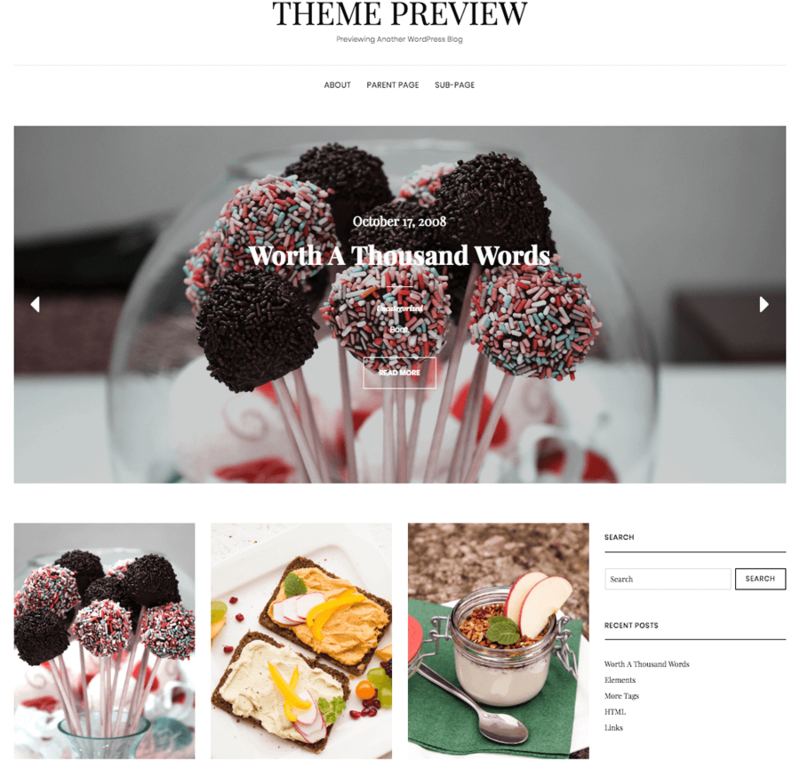 One of the many perks of making a WordPress site is the wide range of themes alone. Whatever design your idea needs, you’ll surely find it. The official WordPress theme repository alone holds over 6000 unique options! You can find them all in the Appearance › Themes section of the dashboard. If you select the Add New button, you’ll be able to preview and install all themes from available in the WP theme repository. You can easily find WordPress themes that look awesome right out of the box! In case you wish to make changes, you can head over to the Appearance › Customize section. Conveniently edit your buttons, menus, widgets and other sections. Overall, choosing the right design out of 6000 contenders can get difficult. To narrow down your option, take a look at our collection of the best free WordPress themes. 1. Pages – the basic unit of every website. Using the section, you can create static/evergreen pages that don’t expect a lot of changes. For example: “About us”; “Contact us”; “Home”; and similar. 2. Posts – a section that allows you to create dynamic content pieces, such as articles, blog posts, guest publications. With each update, the post metadata will reflect the last time your content was updated, which can improve search engine rank. 3. Media – such as images, videos, and audio files. After the upload, you will be able to attach these resources to your posts and pages. Another huge perk of WordPress is the sheer amount of plugins that you can use to implement new features and functions. You can get started in the Plugins section, where you can choose Add New to install fresh plugins. All existing ones can be found within the Installed Plugins section. This plugin covers the basic search engine optimization needs of every website. Get various advice on how to improve on-site SEO. A reliable tool that makes transferring WordPress websites a walk in the park. Choose what content/elements should be imported or exported. A powerful plugin that can turn your WordPress site into an e-commerce store. Set up shipping fees and VAT. For an in-depth coverage, check out our complete WooCommerce tutorial. HTTPS is slowly, but confidently becoming a new standard for all websites. For example, Google Chrome marks websites as ‘not secure’ if they use HTTP. Fix insecure or mixed content warnings. Image improvements (such as lazy loading or carousels). Enable reCAPTCHA or Akismet spam filter. Block certain countries or IP addresses. Enhance the navigation of pages and posts by automatically generating a table of contents section. Add labels, hierarchies and more! Resize images based on width and height. Send emails upon user registration. If that’s something you plan to do, our guide on how to set up a forum with WordPress may come in handy. Sometimes, you may need to add an extra touch to a page and the default WordPress editor is not enough. Beaver Builder enables an additional interface that will let you design every page the way you want. Easily change textbox positions, apply CSS/JS, and more! However, WordPress is planning to change the default editor to a new one called Gutenberg. While it’s not in the final form yet, it will be included with the newest versions of WordPress in the near future. You now know how to create a website with WordPress and understand the basics. Joomla is another well-known CMS in the market. Being the second most popular pick, Joomla has been a rival to WordPress for a long time. And for good reason. 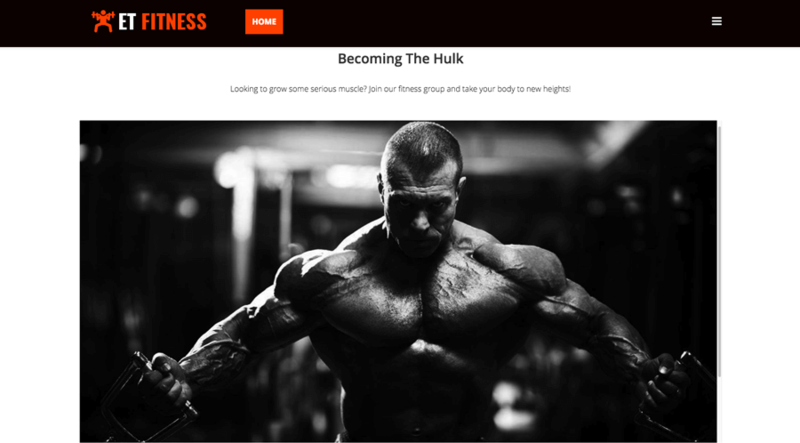 Build any type of website. With a wide range of modules, you can create anything from a simple blog or forum to a large scale e-commerce store. Find quick solutions to problems. Joomla boasts of having on of the biggest online communities. This makes it much easier to find solutions, fixes, and answers! Implement new features without knowing how to code. The simplicity of Joomla guarantees that even beginner webmasters can create a responsive and eye-catching site. The simplest way to install Joomla is through an Auto Installer. Here on Hostinger, you can find it in the control panel. Fill in the basic details and create an administrator user to proceed with the installation. That’s all it takes to set up Joomla CMS! The next step is building your actual website. To find the back-end of your Joomla site, navigate to yourdomain.com/admistrator URL. Enter the administrative credentials created during the setup to access your dashboard. And there you have it! A simple layout where you can control every aspect of your Joomla site. First things first, you will need an eye-catching template to capture the attention of every visitor. Joomla includes two themes by default, though they are quite minimalistic and may not give you all the essential features. While Joomla does not offer an inbuilt theme library within the dashboard, you can still find many of them on the web. A few notable places include JoomDev and ASTemplates. To install a Joomla template, you will need to navigate to Install Extensions section. Upload Package File. Drag and drop your compressed template file and Joomla will do the rest for you. Install from Folder. The process involves uploading your template file to a specified location within your web hosting account. Install from URL. If you have a direct link to the template file, you can use this section to add it instantly. The Joomla community has many free themes for all types of projects and businesses. Important! Be cautious when using templates from 3rd party or untrusted sources. We recommend sticking with the communities that you know and trust. 1. Articles are the basic publication units of Joomla (such as WordPress posts). You can attach every post to a certain category and add tags, which can help keep things more organized. 2. Categories will let you group your article publications based on certain criteria. This will keep your visitors more engaged by letting them find related content much easier. 3. Media is the section where you can upload pictures, videos, audio files, PDFs and other types of visual content. Later on, you can add them to individual articles. Last, but not least, you’ll need to know how to add new features to your Joomla website. Luckily, it’s not that hard. Joomla offers a wide range of free and paid extensions that you can install directly from the dashboard. You’ll only need to install an extra module that pops up when entering the Install Extensions tab. Once done, you’ll see a big library of plugins which is grouped according to certain categories. Here’s a list of 8 best Joomla extensions that will enhance the workflow of every webmaster. Pick from several compression formats. Use a variety of predefined examples. Configure zone-based taxes and multi-currency. High-quality images can help you impress and capture the attention of visitors. A great way to display them is by using sliders or slideshows. DJ-ImageSlider is a free extension that will aid you in this task. Implementable on any section of your website. Adding background images into a single sprite. Customizable errors pages (such as 404; 500). Social media integration (such as Facebook, Twitter, Google+, Pinterest). EasyBlog does not offer a free version and is only available for purchase. The extension does not have a free version and only provides paid options. You now know the basics of how to build a website with Joomla. Want to start right away? Drupal is another big player in the world of content management systems. Though it’s slightly different. While WordPress and Joomla boast that you need no coding knowledge to create a website, Drupal does it the other way around. As of today, it is one of the most powerful and secure CMSes in the hands of developers. High flexibility and scalability. The perfect platform for small and large projects alike. If web development is your strong point, Drupal will empower you to make any type of website. A huge variety of free modules. Whatever features your site needs, you’ll surely find them in a library of 40000+ free modules and extensions. Less time consumption, more results! Major focus on content creation and publishing. Since Drupal is a CMS, managing your publications will be a walk in the park. Find everything you need within a single dashboard. With Hostinger, you can start your Drupal development journey in the shortest timeframe possible. Set it up in just 1-click using our Auto Installer! Fill in the basic installation details along with your administrator user information and you’re ready to go. To enter the back-end dashboard of Drupal, navigate to yourdomain.com/user/login URL. Within this panel, you’ll be able to control and manage every aspect of your Drupal website. First up, you need a good look. With Drupal, you won’t have to look for. The official theme repo offers over 2500 unique options! 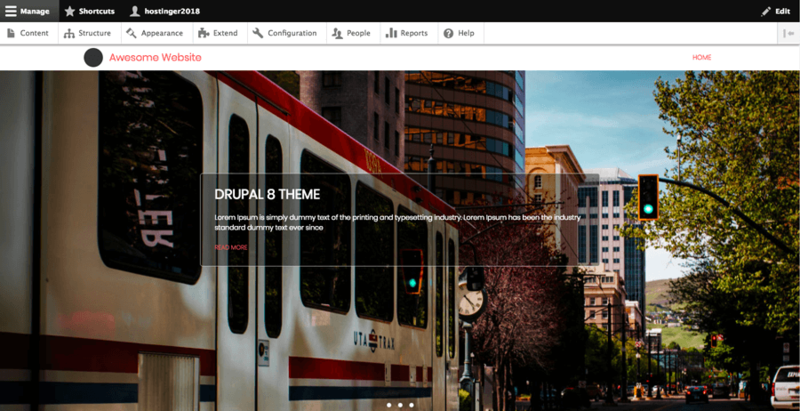 You can look for templates based on your Drupal version, the theme’s status, stability, and many other filters. If you’re willing to do a little digging, you can definitely find a great look for your Drupal website. Navigate to the Appearance section in the upper navigation menu. Select the install new theme button. Paste a theme URL or select an archive from your local machine. 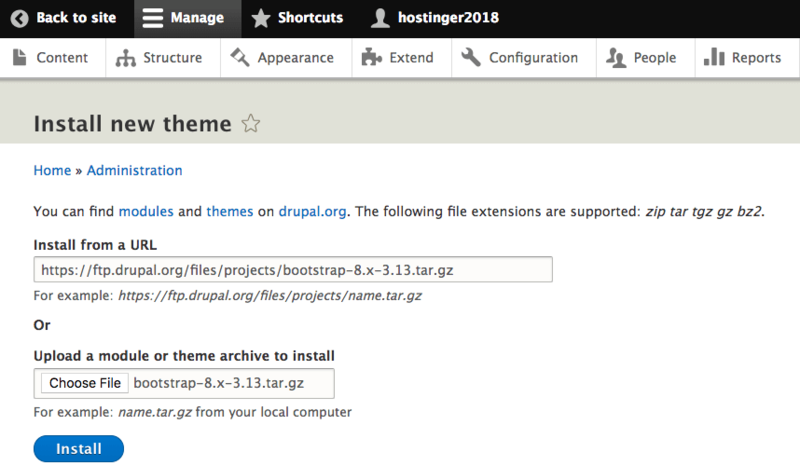 Click install and finalize the Drupal theme setup. Adding posts, writing articles, building landing pages – you can do all these tasks relatively easy with Drupal. All the action takes place in the Content section. Content, where you can add articles (time-sensitive publications) or basic pages (such as ‘About Us’). Comments, which is a section where you can moderate the messages left by your visitors. Files section is the place where you can find all your images and other media files that you upload while creating content. Overall, Drupal is packed with quite an impressive amount of functions, which is one of the reasons why it stands strong among other top content management systems. Last, but not least, let’s talk about Drupal modules and adding new functionality to your website. If you navigate to the Extend section from the upper menu, you’ll be able to install lots of cool features. There is a handful of core modules included in every fresh Drupal installation. 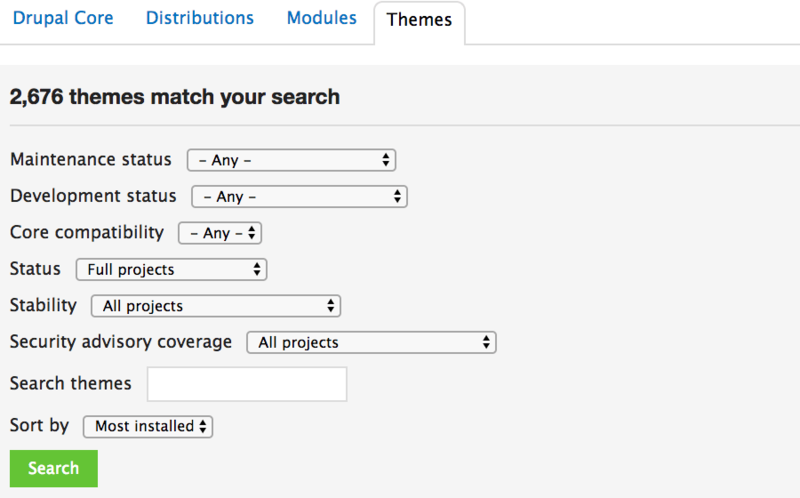 Additionally, you can find over 40000+ Drupal modules in the official repository. Click the install new module button. Paste a module URL or select the archive from your local computer. Click install and complete the Drupal module setup. You’ve now learned how to make a website using Drupal CMS. Website builder is a quick and easy way to design and publish a site when you’re not a developer. Everything from the theme to SEO and cart functionality can be controlled within a single dashboard. It also has drag and drop functionality that lets you build everything the way you want. To build a site, no additional setup is required. All you have to do is access the Website Builder tool in your control panel. Make sure that all other scripts are backed up/removed before use. If you publish your site with website builder, it may override some of the existing files. The first step will be choosing a look. You’ll be able to pick from over 200 free templates or import ANY type of website using an inbuilt migration tool. Depending on what you wish to build, there are categories for every type of site out there. From simple landing pages to hotels and e-commerce stores. Once you’ve found the perfect theme, you’ll be taken to the website builder interface. Now the real fun begins. In the upper section of your screen, you will see a menu with all the tools at your disposal. Let’s see what website building features are on the table. Tools to create buttons, blocks, and menus. If you’re doing a small/medium sized project, this option is definitely worth a try. Plus, there are many great website builders in the market. And most importantly, anyone can use them! You can now use our website builder to make a basic site. Want to build it today? You now know the various kinds of web hosting and the best tools to build a site. But the journey does not end here. In fact, it’s just the beginning! Perhaps one of the most important things that you must do is decide the niche and direction that your website will go. Without proper planning, things can start going wrong very quickly. Knowing your passion. You’ll always get better results if you enjoy what you do. Plus your chances of succeeding will increase. For example, if you’re a huge fan of reading, starting a book blog may be the perfect start. Evaluating the market. Seeing what people search for can give you a rough idea of what kind of content/product you need to develop. Use tools such as Google Trends, KWFinder, and Answer The Public to view the most prominent search terms and questions in your niche. Checking out the big fish. Competitors can be a great source of inspiration, especially the strong ones. You can get some fresh ideas and get a glimpse of how your website could look once it expands. What’s more, many of them offer affiliate programs, where you can earn by bringing new users to their platform. Brainstorming unique ideas. Finally, open up a simple document and write down all your ideas, no matter how weird or impossible to execute. Creating the perfect plan will take a lot of time and dedication, so every little step counts! Overall, you’ll reach the best result if you create a website about a topic or niche that you’re highly interested in. This will give you a chance to produce top-notch content and ensures that you’re always fired up. It can be difficult to make important decisions without having any data to back it up. Which is why gathering statistics is crucial if you want to succeed. One of the best tools to do the job is Google Analytics (GA). You’ll get useful insights about your audience, such as how the users found your website, whether they made a purchase, how long they stayed on a certain page and more! These great resources will provide you with all the tips and tricks that you need. Ensuring the well-being of your creation will help you avoid unnecessary downtime and issues. Which is why it’s important to check how much resources your site uses from time to time. With Hostinger, you can view this information directly from the control panel. All you have to do is access the Order Usage section. Check your CPU, memory, entry process, and email usage in a single place. If more and more people start visiting your site, and you start to notice unusually large spikes – it may signal that you need more power or to reduce resource usage through optimization. Visitor/user feedback. In most cases, your site users are the most important thing you should be concerned about. The changes that you make should aim to improve the quality of time spent on your pages. What better way to know then to ask by gathering customer feedback? A staging environment for development. Testing out new stuff on a live website is not the best approach, as you may end up with an error on your screen in case something goes wrong. To overcome that, you can create a local testing site with XAMPP or use our Add Website feature to make staging subdomain. There’s no website in the world that made it big without failing and retrying over and over again. The most important thing is to draw the correct conclusions and move forward. HTTPS encryption is slowly, but surely, becoming a new standard of the web. If your site handles sensitive information (such as passwords, personal details, payment information), then it’s a MUST. Improved SEO rating. Search engines such as Google favor HTTPS sites over HTTP. Boost of trust. Your visitors and users will know that their private information is secure. Avoiding the not secure warning. Since Chrome version 68, websites that use HTTP will have a “not secure” warning next to the URL. To use HTTPS, you must first set up an SSL/TLS certificate. We bundle a free lifetime SSL with all our annual Business hosting plans and have them available in our Power Store as well. For a free alternative, you may follow our manual SSL installation guide. DoS/DDoS attacks. A type of cyber-attack where a site is flooded with an enormous amount of requests. As a result, pages become extremely slow or unresponsive. Spam. If your site allows comments or has contact forms, people can abuse them to overflow your site with junk. Make sure to implement safety measures for those sections (such as captcha). Brute-force attempts. This type of attack involves a person submitting lots of different password combinations (usually by using special scripts) with the aim to guess it. Injections and vulnerabilities. One of the worst type of attacks, where malicious code or malware is “injected” through a security flaw. Use captcha. A simple, yet highly effective tool to battle against spam and contact form abuse. Limit login attempts. Set up 5-10 minute timeouts after multiple incorrect password guesses. Install a security plugin. If you use WordPress, you can use plugins such as Wordfence or Sucuri to add an extra layer of protection (may increase CPU usage). Keep things up to date. Outdated scripts often have security flaws. Most of them are addressed through updates, which is why you should regularly check for them. Implement CloudFlare. Setting up CF will not only protect your site against various attacks but will also speed it up by making it accessible quicker from various geographical locations. 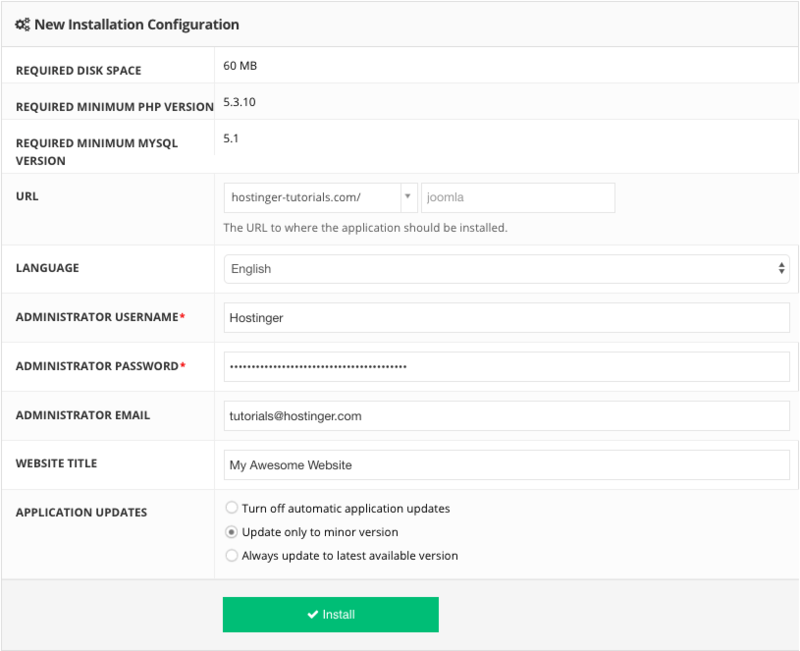 You can also purchase an additional CloudFlare module on Hostinger for instant setup! Lastly, it’s important that the website hosting platform you choose is secure. 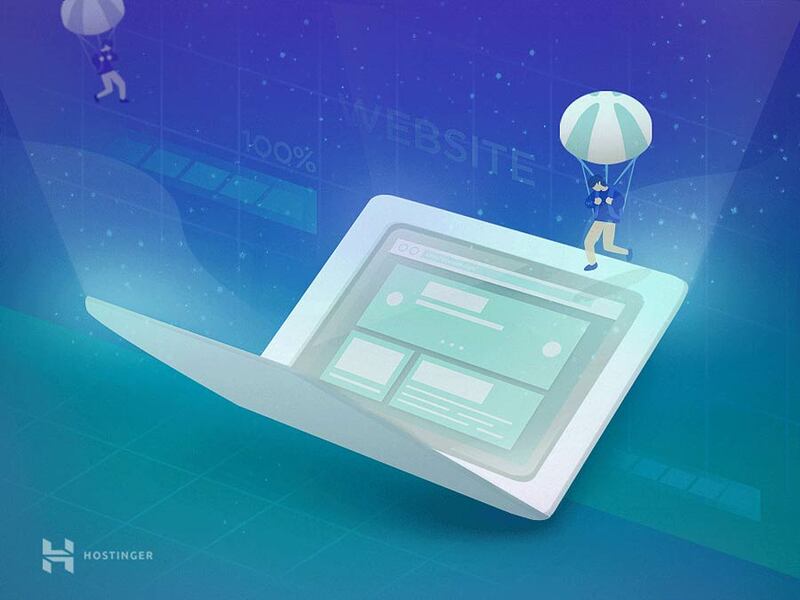 For example, here on Hostinger, we utilize custom firewall rules and real-time monitoring tools to block brute-force attempts, DDoS, XSS, and other online threats. This ensures that every website is up and running at all times. There’s nothing more frustrating than a sluggish site. Page speed and load time play a major role in user experience. As a result, faster website not only have a higher SEO rating, but their visitors are much happier and convert more. To see how well your site performs, use tools such as GTmetrix or PageSpeed Insights by Google. You may also find lots of great advice by querying the received site performance recommendations in Google Search. Last, but not least, try to be a few steps ahead. If the website that you make is business related, decide what pages you should include. In case your plan is to build an e-commerce empire, think about your product and how to convert as many users as possible. Try to store all your brainstorm sessions and ideas into a single spreadsheet. That way, you’ll be able to see how you progressed over time. In addition, you’ll be able to introduce everything to other people once your project gets large enough. Congratulations! By finishing this guide you’ve explored the various ways of how to make a website. You’ve also learned a few growth tips and introduced yourself with several awesome tools that will make you stand out in the crowd. So…what are you waiting for?